University of Idaho faculty member Dilshani Sarathchandra said the best way to evaluate other people’s research is to do research on your own, or at least know the process and what is appropriate. “We live in a society of information glut, but how do we know what is credible?” said Sarathchandra, an assistant professor of sociology in the College of Letters, Arts and Social Sciences. She takes time to talk to her undergraduate students about this exact question and her different kinds of research projects — and often involves them directly in research. “Professors don’t just teach, they make intellectual contributions to their disciplines as well,” Sarathchandra said. Sarathchandra grew up in Sri Lanka, where she attended the University of Colombo and received her bachelor’s degree in plant biotechnology. She moved to the United States in 2007 to pursue a doctorate in sociology at Michigan State University. 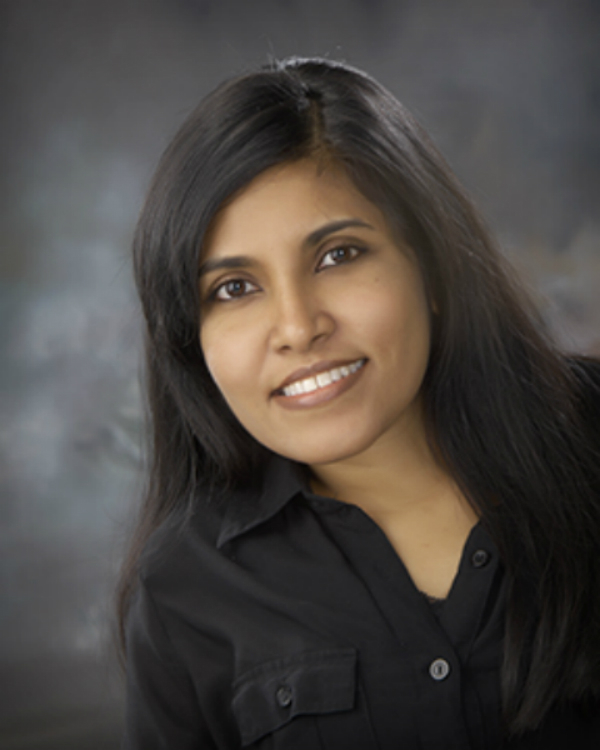 In 2014, Sarathchandra came to UI, where she teaches a broad range of subjects, from sociology of science to social statistics, as well as introductory and senior courses. She conducts her research in the area of sociology of science. During classes, she talks to her students about why it’s important to collaborate with faculty and do research. Most of her best collaborations with students arose organically: She wasn’t necessarily looking for students to work with, she just talked about her research to her classes and if someone expressed interest, she would talk to them about it in depth. Sometimes working with students makes her see things from a new way, and a light bulb goes off. “A lot of cool projects have come up in very informal conversations,” Sarathchandra said. Working with students allows her to stay active in her own research, and allows students to gain professional skills. Research is not just for students going to graduate school, but also for those who want to go into a career right out of college. Some undergrads she works with aren’t sociology students, but are from different majors — which she thinks is important because it can really broaden their intellectual understanding. One of her current research projects with an undergrad is about climate change studies that are retracted from scientific journals, and how the retractions will affect people’s perceptions about climate change. In working with students and conducting research, Sarathchandra enjoys the variety of people and differences in how people think at UI and in Moscow. “I like the intellectual community on campus, whether it be faculty, staff, administrators or students — there are cool ideas and opportunities to collaborate or learn about the different dimensions of culture,” she said. The benches by Friendship Square in downtown Moscow are one of her favorite places. She likes to go there to read or to venture to coffee shops, where she sometimes hears other people’s conversations. WRITER: Laurien Mavey is a senior from Homedale, Idaho, majoring in advertising.